Adding color to your outdoor living space will not only add interest and depth but it will also make the space more inviting for friends and family members. Learn how to create a thoughtfully designed outdoor living space by adding color with these simple tips. The easiest and most effective way to add color to your outdoor living area is to choose a color theme. Modern backyards will incorporate a select few colors into their outdoor living space as opposed to choosing a variety of random colors. Start with colors that bring you joy and work from there. Consider choosing a color that meets your atmospheric goals for your outdoor living space. Red is a great color for homeowners who like to host fun and energetic parties. Blue is a soothing color for homeowners who want their outdoor living space to be relaxing and feel like a sanctuary. Black and white color schemes work well for high-end backyards. Just be aware that white may not be the best option if you have kids, depending on the fabric you opt for. Once you choose your color scheme, consider the tonal combinations you can use. Using blue is a great example as many different shades of blue can work together in an outdoor space: cobalt, teal, or navy blues will play nicely off of each other when considered tastefully. A bright accent color, like the Lotus Outdoor Chair in Teal, would look great in an outdoor space that has a blue color scheme. An accent of tomato red would do well with other warm-toned colors, like rusted orange, golden honey, or sienna. Some colors come standard in outdoor spaces, such as brown and grey to account for concrete, walkways, and metal furniture. Not to mention the pre-existing greenery outside. Modern homes will use color to either accent these naturally occurring colors or create dramatic contrast by choosing different colors all together. Consider using subtle touches of color like purple or dark green planters in order to tastefully highlight the colors that already exist in your outdoor area. Mixing your chosen color scheme with some natural hues will help to create balance in an outdoor space without overwhelming your guests. Want to take your space to the next level? Try one of these colorful plants. Consider adding a few pops of color with your outdoor furniture. For example, choosing outdoor seating cushions in a neutral color, but adding a table umbrella in an accent color. You might also consider adding in a pop of color with a side table, like the Bistro Outdoor Table that comes in a wide variety of fun colors. Adding rich and varied color is a great way to transform the overall look and feel of your outdoor living space. 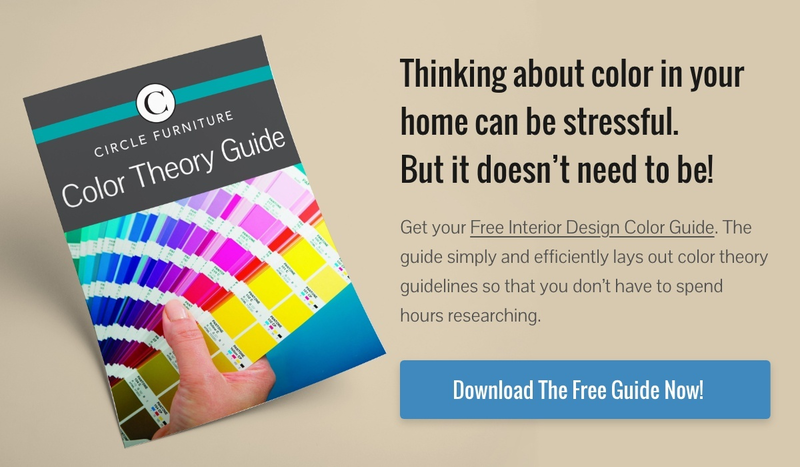 Consider choosing a color theme that resonates with your personality, and choose different tones within the color family to add interest and dimension. Add pops of color, weave your color theme throughout the space, and don’t forget to take advantage of the natural colors that already exist in your outdoor living area.